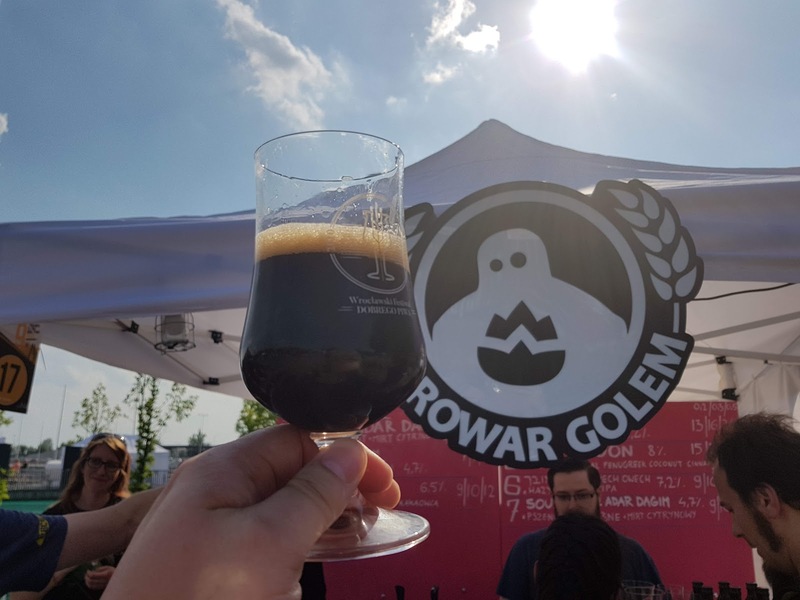 I was invited to attend the Wroclaw Good Beer Festival last month. I've been invited a few times in the past but it had always clashed with the Killarney Beer Festival. Since that didn't take place this year, I was finally able to attend and I'm so glad I did. 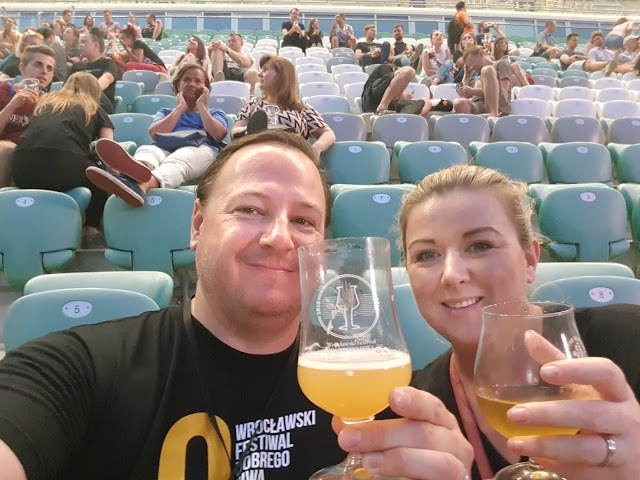 The invite came from fellow blogger and YouTuber, Tomasz Kopyra, who I've known for years from the days of the Beer Bloggers Conferences. 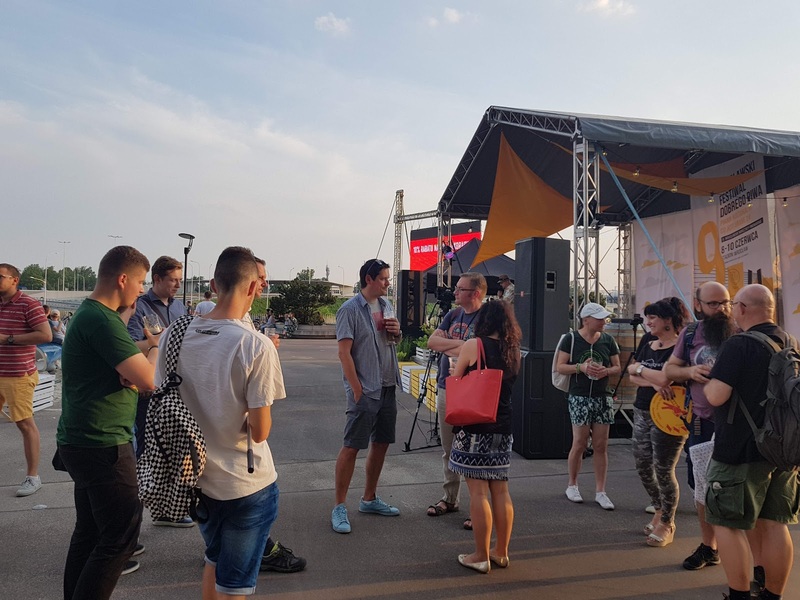 He is heavily involved in the Polish beer industry and plays a big part in promoting the festival. The first day, before the festival kicked off, Tomasz drove us around some nearby breweries in Wroclaw. By the way, Wroclaw is pronounced like vrotes-waav, or something like that anyway. I'll write separately about those breweries later. I just want to let people know of the magnitude of this festival as it's incredible. 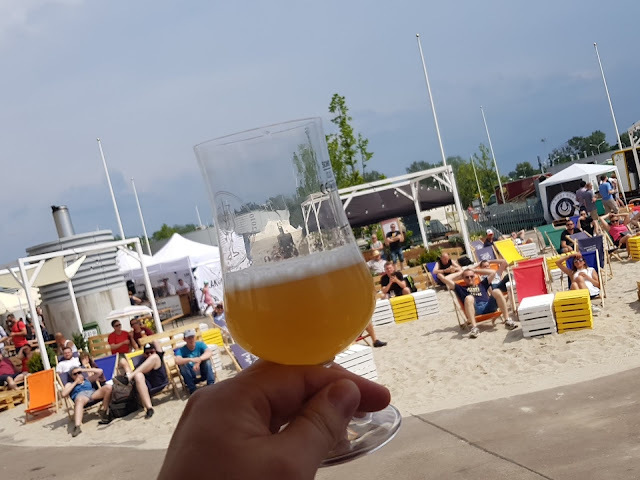 It was by far the largest beer festival I've been to. It takes place at the Wroclaw stadium which in itself is a rather impressive building. Breweries from all over Poland and a few neighbouring countries attend for the weekend. There was even a token Guinness tap at an international bar. Last year, they had about 60,000 attendees and a few years ago, they counted up to 80,000 I believe. I'm not sure about this year, there were a lot of people there but I think there were other events on that could have clashed with the festival so numbers might not have been as high. The festival is free to attend which is just amazing actually, considering how well organised it is. This is a family friendly event with music performed on a main stage in the park beside the stadium. You literally just walk up and down some steps to go between both. The park also hosts bouncy castles and other child friendly activities. There's no issue bringing beer down from the festival to the children's area which means there's no issue bringing beer in to the festival itself though it's meant to be purchased at the festival. There are no tokens, just pay the cost of the beer. There's no ATM but every stand takes card. Considering the very small amount of money in each transaction, that's very impressive. I wonder are vendor card fees a lot lower in Poland than Ireland? There's plenty of really tasty food available at the festival but there's no issue bringing your own food inside according to the rules. I was scheduled to be part of a beer specialist panel on the smaller festival stage at 2pm on Saturday. This involved sampling beers on stage and judging them. It was hot as hell that weekend, in the 30s and in front of the stage, they had set up a makeshift beach with deckchairs. Thankfully the stage provided us with shade. Tomasz hosted the panel which consisted of myself, Martin Voigt from proBIER.TV and Denise Jones, a very experienced brewer and distiller currently at Weyermann's. The three of us were the English speakers while the rest of the panel was made up of Polish beer experts. I had also met Martin before at the Beer bloggers conferences. Particularly the one I helped organise in Dublin in 2014. I hadn't met Denise before but we became good friends over the weekend. She blew me away with not just her knowledge but also her beer judging abilities. She has a seriously refined and trained palate. Tomasz handled the translation for all the panellists and audience so we could all understand each other. Afterwards, Tomasz's fans came up for selfies and autographs. Yup, Tomasz is famous in Poland. He probably has the largest YouTube following in Poland and his channel is potentially the biggest beer channel on all of YouTube. Currently at 109k followers. How did he manage to do that? Well for one thing, he vlogs in Polish so has an automatic fan base of 38 million in Poland itself and many more around the world. He also uploads very regularly, multiple times a week. Sometimes multiple times a day. In contrast, I only have 88 YouTube subscribers though at least this very blog gets about 25k views a month so that's something. Tomasz has also written a book about beer so if you read Polish, might be worth a punt. He had a lot of people come up to him over the weekend to get it signed. We were able to take our drinks inside the stadium itself and sit down. The massive screens were showing festival highlights and stage events. Wouldn't you know it, I actually ran in to two separate friends of mine who were also visiting the beer festival from Ireland. There was a homebrew demonstration and competition as well as tasting going on. 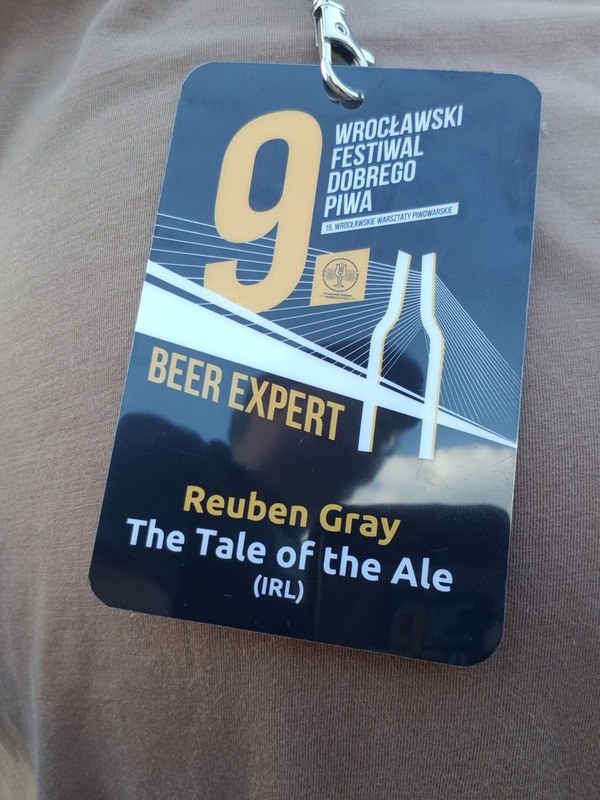 It wasn't open to regular festival goers as far as I know, you had to have a Beer Expert badge like mine or had been previously invited. I never got a chance to go over to it due to the sheer amount of Polish beer to get to. I think there were about 500 beers or more available. 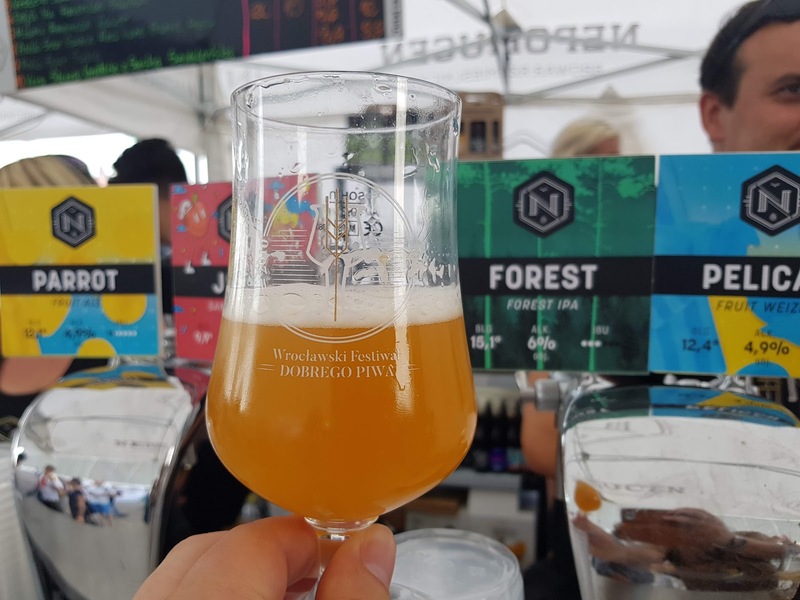 I can't really talk about the beer itself as I had a lot of different beers at the festival, most of which I can't pronounce and I never take notes at beer festivals due to palate fatigue. 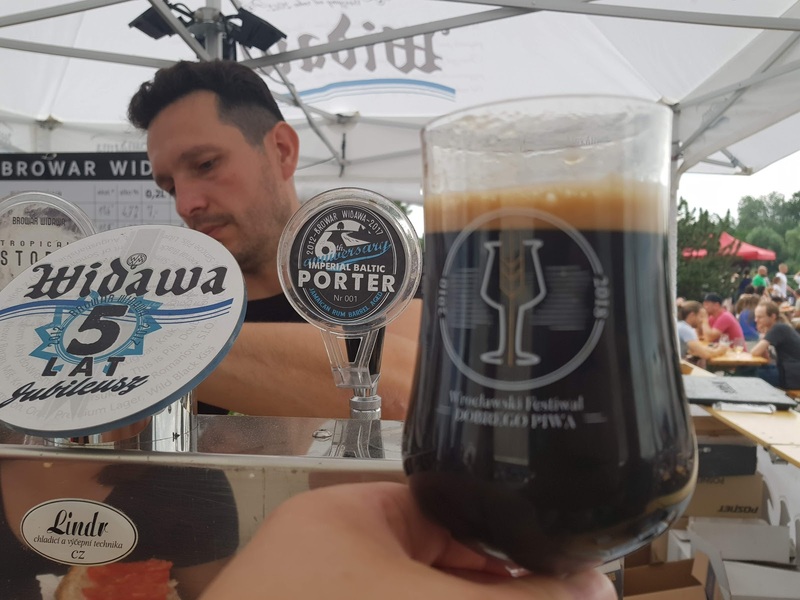 That said, the beer pictured above was one of the best Baltic porters I've ever tasted. The one thing I came away from Wroclaw with is a sense of just how popular local beer has become in Poland. 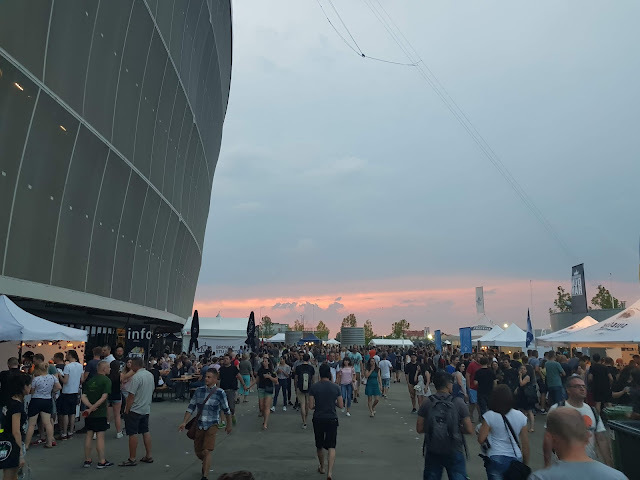 It has come a long way from when I first visited Krakow in 2013 and shows no sign of slowing down at the moment. Thanks to Tomasz and the team for inviting me over. Am just a bit jealous... LOL! Attended a sort of similar beer festival few months ago with my best friend. It was organized in the outer area and inner halls of San Francisco venues with pleasing table arrangements. All sorting and tastes were placed differently with descriptions. Tasted few of the light ones. Prices were also genuine. Best were the glasses.